Kiton tie in wide diagonal stripes. Ermenegildo Zegna tie featuring stairs print. Silk; dry clean. Made in Switzerland. 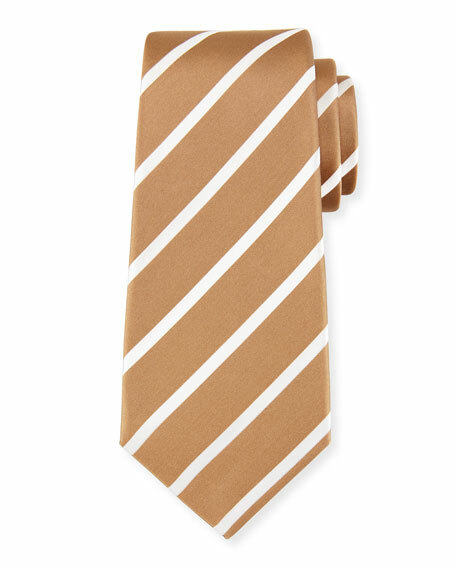 Ermenegildo Zegna knit tie in stripes. Approx. 3" at widest. Silk; dry clean. Made in Switzerland. Kiton tie in small oval pattern. Approx. 58"L; 3.4" at widest. Silk; dry clean. Made in Italy.